Batman was such an intregral part of my childhood that the whole Bat Universe will forever hold a special place in my heart. It is not from loathing the character that I ask this, but, in fact, from love. Can we lay off Batman for a while, DC? I get it. He's your best selling character. He's the face. The poster boy. He's the character you stick in a Superman sequel so you can have a decent shot at a billion dollars. I understand why you slap Batman on everything. And you really do slap him on everything. He's not... he's not even a member of that team, you guys. He's not the main character, nor even the REAL Batman and he's the biggest thing on the cover. Batman leads the heros with two of his own villains making up the other three. There's such a thing as overexposure. Batman is everywhere. Sometimes it feels like DC is basically putting out Batman and His Amazing Friends. One day all this Batman-ness is going to grow old. Batman will become stale and contrieved. Just as everyone's default concept of a superhero is Superman, it could one day become Batman. It won't be long after that the audience will grow tired. Then where will you be, DC? Who will be your face then? Ambush Bug? You know what I think, DC? I think you're scared. Batman is easily written. Batman is easily sold. Batman is an easy character. People understand and like him right away. He's built for the masses, but acceptably edgy at the same time. DC's other characters, the good and the bad, are more of a harder sell. Hell, the only way they could make a Green Arrow show was to turn it into an even bigger Batman rip-off than the character already was. DC is afriad that anything non-Batman is doomed to fail, much like how Marvel seems to think X-Men can't be marketed without Wolverine. They believe that people who don't read comics won't recognize what's in front of them (and as we all know, we can't enjoy a story with characters we don't recognize). However, I don't think that's completely true. At one time Captain Marvel -- or Shazam as the dumb kids call it -- was the most popular superhero in the world, regularly outselling Superman (the character he shamelessly took from). Deadpool has recently risen to become uber popular, even becomeing vaguely liked by pop culture hounds who don't really read comics. New heroes have been and are finding sudden popularity all the time. There's room to change. The people are hungry. One of the smartest things Marvel has done, is to diverisfy their properties. Soon, there will people who love Guardians of the Galaxy and have never read a comic book. There are legions of kids well versed in the broad strokes of characters who will one day gladly dive into the comics themselves. And I think that what'll hurt you the most, DC. By limiting yourself, you're limiting your future. A lot of people like Batman, but a lot of people like JUST Batman. There are so many cool characters in DC you could be show casing, but you have barely given them a chance. Young Justice was great example of a show that opened the eyes of the uninitiated to the wonders of your universe, but you cancelled that in favor of... a new Batman show. Once, almost a decade ago, there were a run of shows that got me, and thousands of others, into DC comics. It included some of the most faithfully adapted and obscure characters of all time. It was, for all intents and purposes, a tour of the DC universe. 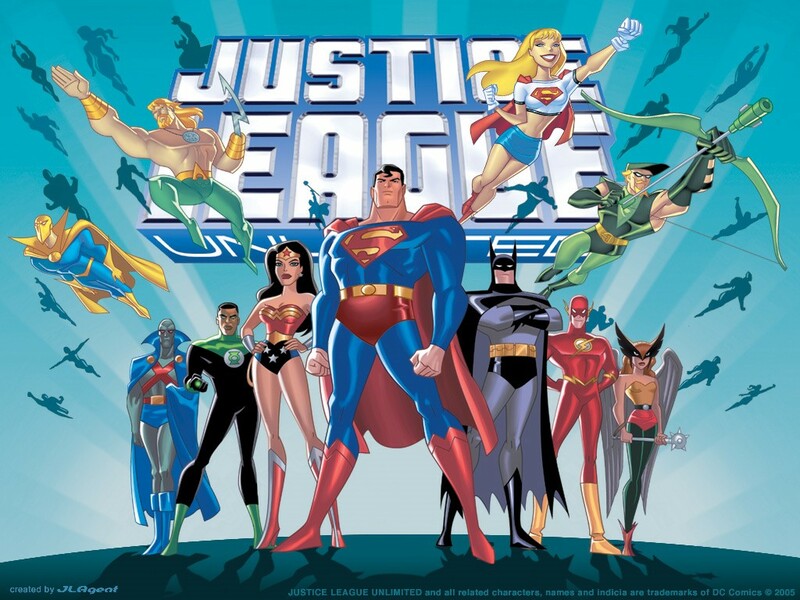 It's commonly called The DC Animated Universe and it still holds up today. They didn't dwell on Batman, in fact a lot of it didn't have a Batman anywhere. Was he important? Yes. Was he front and center? Not always. He's not even the biggest on the logo. That's how you do it, DC. Lay off the Batman crutch for a while. Take a chance, give the people something else for a change. See how many Flash fans there are. See how marketable Wonder Woman can be. Not for my sake. For yours.